Now that Dell's on the verge of shipping Ubuntu-installed computers, potential Linux converters could have some questions as to what they're getting when they buy the package. Dell's got some answers. 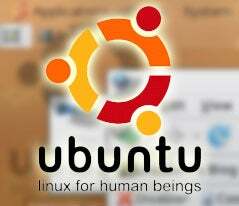 First off, Dell's going to be shipping the default install of Ubuntu. However, when it comes to drivers, they're going to be supporting a subset of other OS installations, and using some closed source drivers when it's necessary—as in, when there's no equivalent open source version. For you, this means better compatibility. However, the fact that Dell is entering this Linux game means they're going to push people hard to make drivers compatible and/or open source. Fantastic for Linux users. As for peripherals, Dell is going to set up a wiki page so you can see which ones are supported and what problems they have. This includes printers, which they recommend you buy from Dell (shocker). For other hardware, Dell is working on adding support in conjunction with other manufacturers, which means it's actually great news for Linux fans since a big manufacturer like Dell will lean hard on peripheral makers to provide Linux compatibility. The bad news is they're not going to support any "proprietary audio or video codecs" like MPEG 1/2/3/4, WMA, WMV, DVD, Quicktime and others. If you want those, you're going to have to install them yourself.